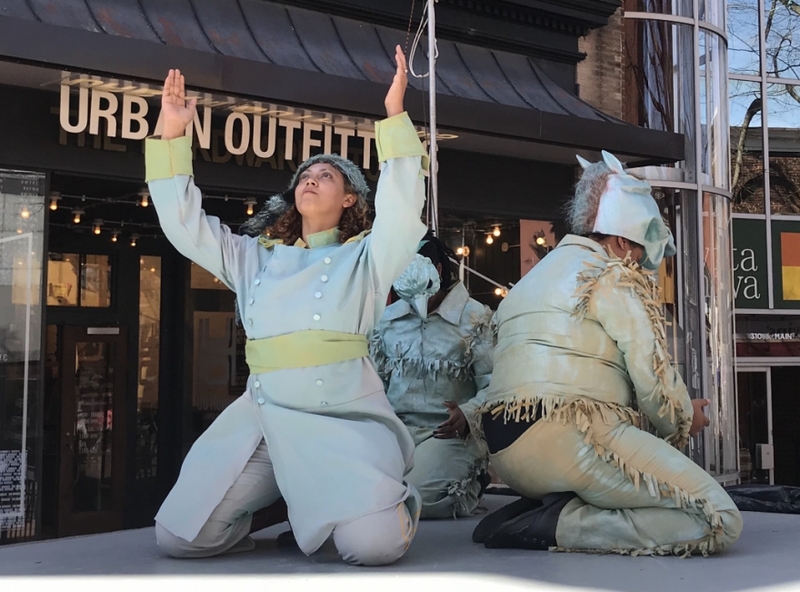 Two bronze statues in Charlottesville were the subject of a performance-art piece that debuted late last week. Performance artist Jennifer Hoyt Tidwell had an idea, "I'm interested in the effect of statues and monuments on people, subliminally and subconsciously in public space how they get in us from an early age." Her piece brings the statues of Robert E. Lee and George Rogers Clark to life as three actresses of color provide in-character illumination and historic facts. Viewer Linda Childs was impressed, "The theme couldn't be more timely, right?" There was even narrative poetry set to music.